With the abundance of data coming from IoT devices and the global nature of business today, it’s essential to be able to understand correlations and track historical trends across your assets. Imagine managing a fleet of trucks carrying items that need to be maintained at a specific temperature. Occasionally you see a low temperature alert triggered for some of your trucks during their daily scheduled delivery. As an operator, you will need to conduct a root cause analysis to understand why this is happening, if there are recurring patterns, and how to prevent it from happening in the future. 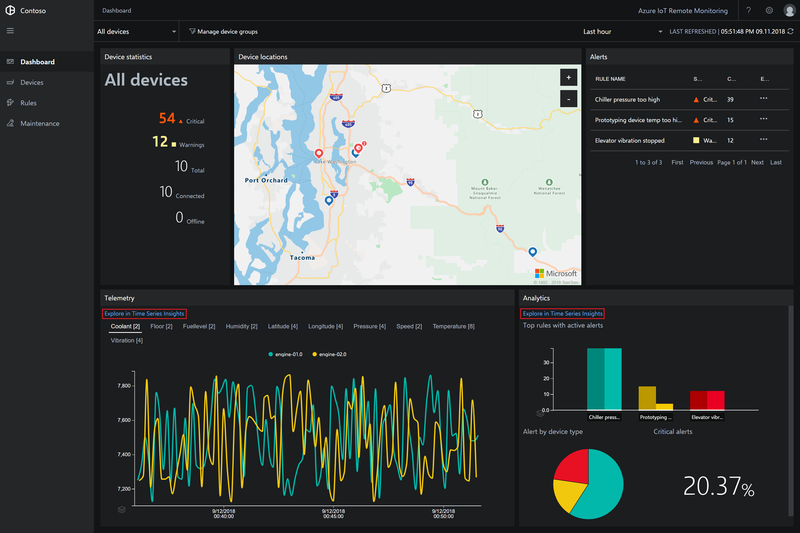 To help you with this, we’re excited to announce that we have now integrated Azure Time Series Insights into the Azure IoT Remote Monitoring solution accelerator. 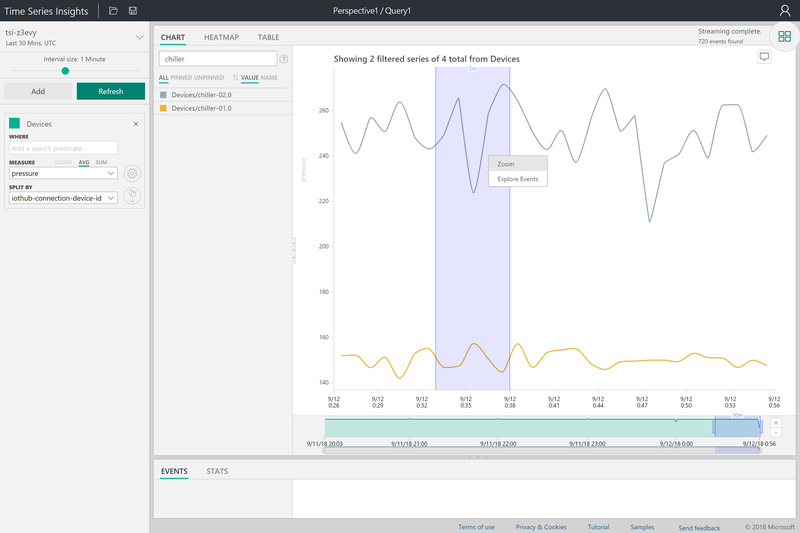 With Time Series Insights, you can gain deeper insights into your time-series sensor data by spotting trends, anomalies, and correlations across real-time and historical data in all your locations. New Remote Monitoring deployments (both Basic and Standard) will include Time Series Insights out-of-the-box* at no extra cost. All messages data from your IoT devices will be stored in Time Series Insights, but your alarms, rules, and configuration settings will remain in Cosmos DB. *Note: Time Series Insights is not yet available in Azure China Cloud. New deployments in Azure China Cloud will continue to use Cosmos DB for all storage. 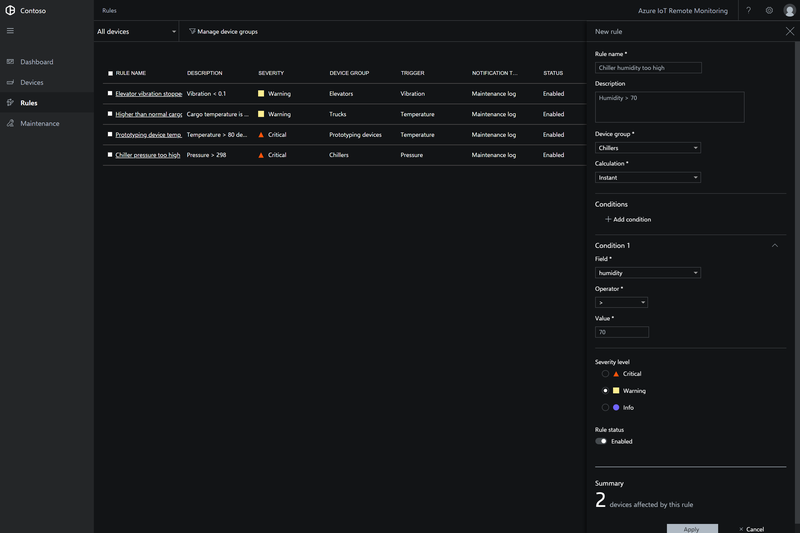 Time Series Insights enables an end-to-end experience that will allow you to not only understand when an anomaly has occurred, but also why it has occurred. 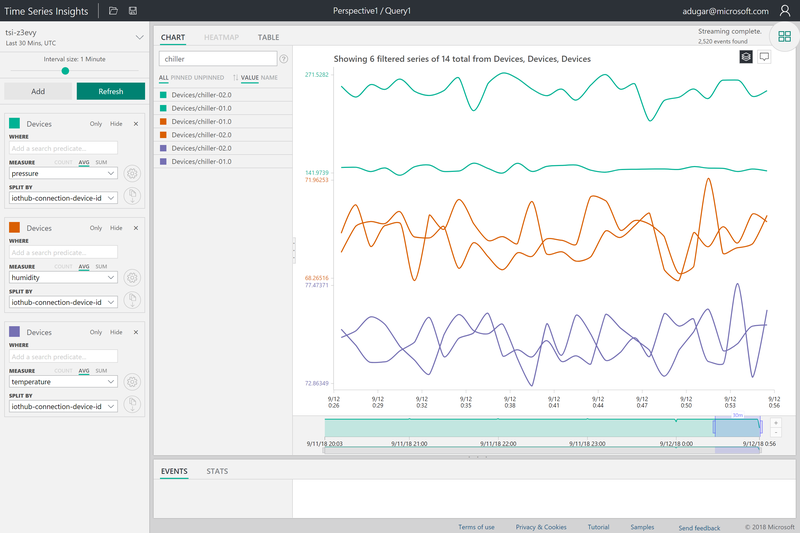 We look forward to learning about how Time Series Insights has helped your IoT solution become even smarter and to gathering your feedback on this new feature.